Even though our official Subtleween is over, I couldn’t let Halloween pass by without sharing one good guy look. In true INTJ fashion, our Always Uttori Subtleween bonus is a good guy, but with a twist. Today’s Subtleween look is Princess Leia, or to be more precise, Goth Princess Leia. To be fair, she is a subtly goth, or, as I like to say, minimalist goth, but she is still recognizable. Plus, this look is low-key enough to wear to a not quite Halloween party, as I did this past weekend. With this goth version of Princess Leia, I feel like I’ve come full circle. One of my first Halloween costumes was Princess Leia, and with the unfortunate passing of Carrie Fisher nearly a year ago, I felt a final nod to the original BAMF Princess was needed. In my childhood version, I wore a too big wig, and later, a large coat as, often times in Minnesota, Halloween night is cold and sometimes snowy. 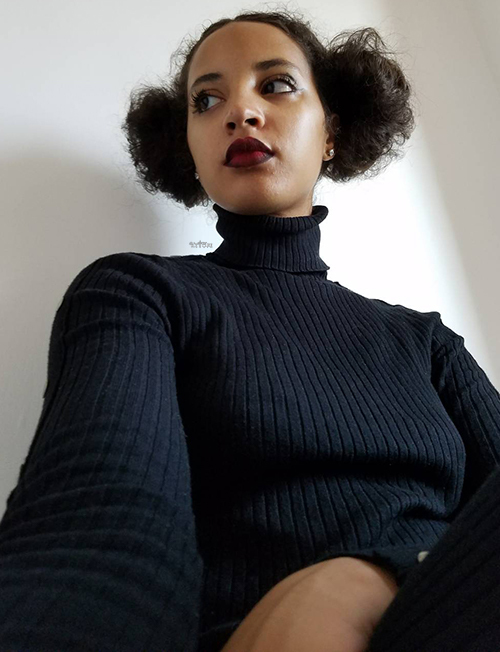 In the grown-up version, my hair is more puff-ball than sleek space bun, but, no one has time to get their hair like that, OK! I like the (now non-cannon) version of Leia—who ended up getting trained in the ways to the force and becoming a tough Jedi—better than the General we see in The Force Awakens; but, strong military and political female figures, especially generals, are still roles we don’t often see in popular media. It’s great to see a character who is both intelligent and compassionate, proving that being competent isn’t a purely a “male” trait. In fact, both are needed to be a good leader, and Leia embodies that. Anyway, I hope everyone has a fun, and safe Halloween today (if you do celebrate it). 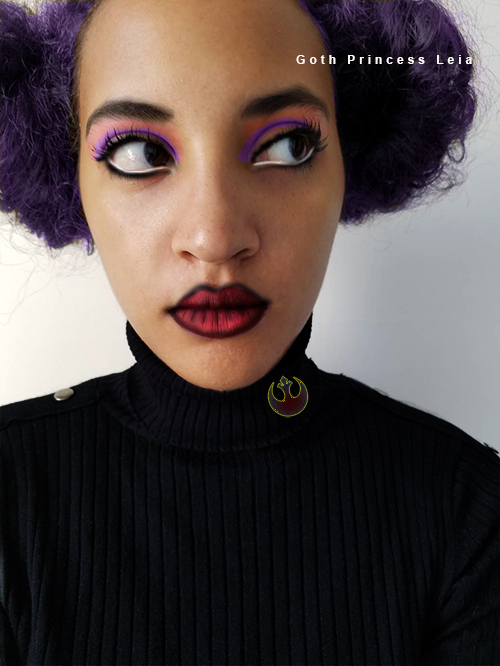 Note: The make-up for the goth image is a mix of pop art (Photoshop) and goth.